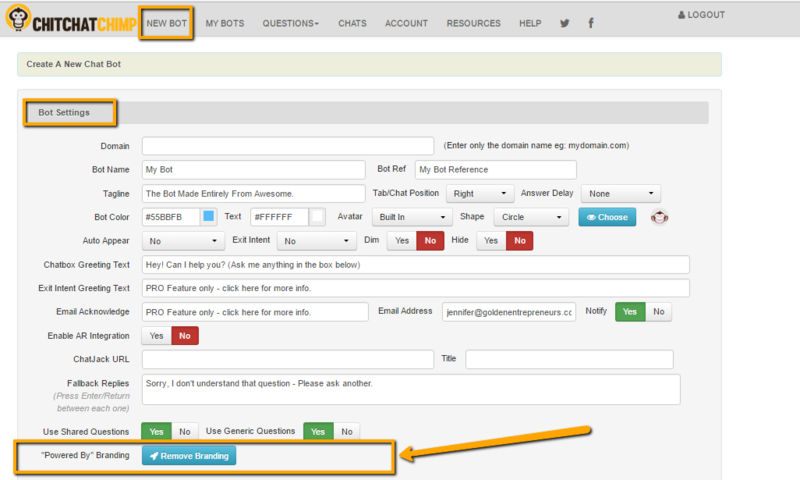 There is a paid for option to remove the "Powered by ChitChatChimp" branding from your Chat Bot. This will take you to the payment processor where you can pay this one-time fee. Once you have done this, please log out of your account and log back in again. Your account should have been upgraded. You can check by going to choose the options! If you have any issues, please clear cache and cookies and try again before contacting support using the orange beacon in the bottom right of your screen.